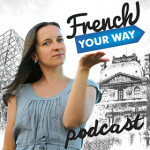 If you’re putting in a lot of time, effort and money to learn French, chances are that you also want to be able to SOUND it properly. If your pronunciation is poor, French people will struggle to understand you. Worse, they may understand something else – something potentially very embarrassing! Check out my new online course! I believe that it is THE most comprehensive course you can find on the topic. 24 videos (2.5 hours). 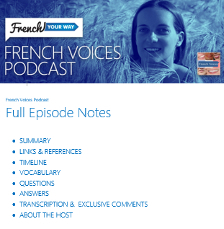 All lesson videos also available in audio format so you can listen again when you commute, do the dishes or drive your car! Bonus #1: a downloadable list of tongue-twisters to practice all you’ve learnt and have fun! 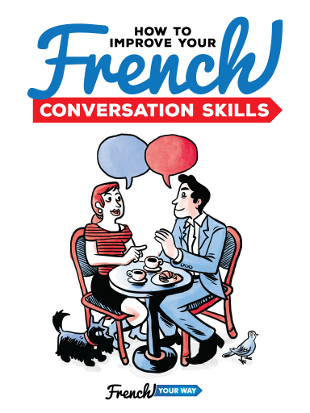 More confidence, less self-consciousness and worry about sounding stupid when speaking French! My set of IPA flashcards to help you become more familiar with the phonetic symbols used in French language. I’ll be live on Facebook on Saturday May 19th, 1.30pm Melbourne time AEST) to answer your questions about French phonetics ?